As a slight departure from the usual fare on this blog, I thought it would interesting and useful, particularly in the current climate both in the UK and Bangladesh, to publish a series of pieces profiling some of the Bengalis who arrived and struggled here in the Seventies. You’ll see how remarkably resilient they were in the face of economic poverty and overt, violent racism. For once, I’m hoping that the EDL reads some of these pieces: even they might admire these true British heroes. The Swadhinata Trust is a London based secular Bengali heritage group that works to promote Bengali history and heritage amongst young people. The Swadhinata Trust has been operating since November 2000, offering seminars, workshops, exhibitions and educational literature to young people in schools, colleges, youth clubs and community centres. The Swadhinata Trust promotes Bengali history and culture to ensure its representation as an essential part of the history of Britain and by extension, our contemporary world. Mr. Ahmed was one of the founding members of Bangladesh Youth Approach (BYA). He was the fourth resident of Toc H and helped many Bengali families in East End from racial attack. I came to Britain suddenly, but I was a student back in Bangladesh. I wanted to study again, here in Britain. Chunnu and Fokor alias Billy were my neighbours and they were cousins. They were fluent in English. I was of their age but was unable to speak good enough English to talk to them. Chunnu told me about the Myrdle Street School, if I was interested to learn English; he wanted to take me to the school. Then I went to the school and met Barrister Shah Lutfur Rahman, who was a teacher of that school. I got admitted to his class. He was the teacher of the elementary class at that time, I went to the class and he assessed me for half an hour. Then he decided to admit me to the next class. An English woman was the teacher and I attended the class for only two or three days. Unfortunately, my local (London) guardian, who was a relative of mine, was totally against the idea of learning English and going to school. His ideology was, “we have come here to work, we should work, and we don’t need to become barristers”. He also suspected, “you are going to the night school now, soon you will be going to night club”. So I was thinking of changing my living place because I was not satisfied with the restriction. At that time some people were thinking of opening a new youth hostel for the young people. Shah Lutfur Rahman and Peter East were involved with the project. It was a hostel for the youth only, they had an age limit also; it was 18 to 25 or may be 16 to 25. One had to be within that age to live there. There were huge facilities, and the rent was insignificant. We had to contribute very little for the electricity, furniture and maintenance. I got the chance to be the fourth resident of the hostel. Mr Jamal Hasan, Mr Aklas Uddin and Mr Moin Uddin were there before me and I was the fourth to be admitted there. It was a different environment and different place; it was a very big house. When I went there, one of my friends was scheduled to join me on that week, but he failed to move. So I was alone for the first few days. There were other people downstairs. But all the night I was anxious of being alone. The next week my friend came to the hostel. Then I met Mr Babul, who came to England from Bangladesh on a bicycle. Jamal Hasan also came to Britain on a bicycle. They were studying in that time in Britain. They and Peter East encouraged me very much. Peter East and some other people were the pioneer of the community development activity within the Bengali community in Britain. Peter East, Chunnu, Abbas, Jalal Uddin (Rajonuddin Jalal), Syed Nurul Islam and some other people including me, were organised for community development. The Bangladesh Youth Movement and Bangladesh Youth Approach were not established yet and we had problems with racism. We thought that the racism was a natural phenomenon, we were learning to put up with this. We were unable to communicate with them, and we were just making (Bengali) groups to be safe when we use to go to distance places. In the March or April of 1974, when I had been in the country for 8-9 months, I went to two factories to learn the tailoring job. There were no shortage of jobs but we were unable to get jobs, because we did not know the language. At the beginning, I came to know about a factory and went there for work; they denied me saying, “We don’t employ Black people”. I cannot remember the name of the factory now. They were English White people who denied giving me job. I have another such experience, it was 1973, I went to another factory and they denied me and they were even laughing at me. We took it normally, because we were taught by our elders and predecessor to take it normally. We had nothing to say, and our experienced persons use to teach us how to avoid the harassment, and how to be safe, by being indoor by 6pm and using the streets less used by the White people. Let us come back to the hostel; when the hostel was opening, the then High Commissioner Sultan Ahmed and Peter Shore (MP) were the patron of the hostel during its opening. We used to have an annual party in that hostel and the High Commission of Bangladesh and Peter Shore were always invited and attended the party. We became organised during our hostel life, and we were committed to support the helpless Bengali people who had no hope against the racial violence. Shah Lutfur Rahman, Peter East and Caroline Adams were the brain behind the youth organisation and movement. They inspired us to become organised and help the Bengali people who came under racial attacks. They were leading us and I can remember one incident of helping a family who were newcomer to Britain. They were accommodated in Bethnal Green in a council flat on the first floor. They were unable to stay there for more then one day, the racists attacked them and broke all the windows of the flat. They next day we the youth from the hostel went to their rescue. We helped them to move all their household belongings. Shah Lutfur Rahman and Peter Shore were leading us by providing information and advising us what to do. We were then planning to form the Bangladesh Youth Movement, and Caroline proposed us to form the Bangladesh Youth Approach. We had the first meeting at the Toynbee Hall before the formation of Bangladesh Youth Approach. We had a club in the No 7 TOC H. We had a Billiard Board and 4 to 5 Carom Boards. So it became a community centre of the local Bengali people. We used to meet every day, and on the weekends it was full house. Helal Abbas Uddin, Chunnu, Belal, and I were the full timer in the club. 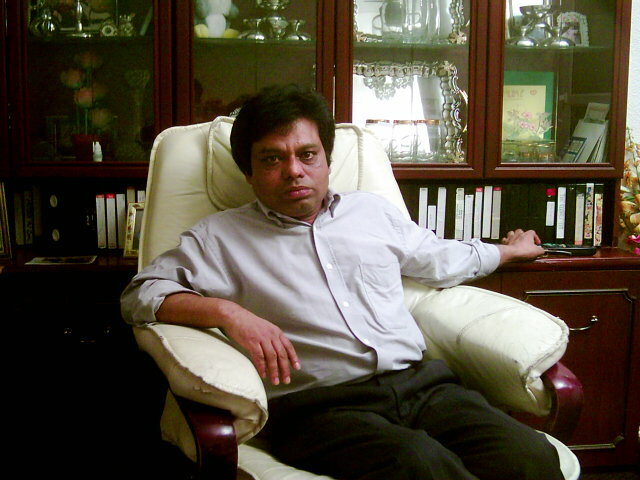 Belal was young working with Shah Lutfur Rahman when I first met him. There was carom and other instruments and we used to play there. In 1975 we organised a competition among us and I won the second prize in playing card. There were a lot of activities there and we were inspired. We used to organise trips to different places during the weekends, every fortnight. We had travelled a lot at that time and we met different types of people. Not all the people in a country can be racist; there are always good and bad people. In 1975, we went to Lake District for two weeks, the district was a completely unexposed one, and they had never seen an Asian. There was no train communication. We can never forget the experience. We had a video camera at that time and we had some of the scenario recorded. It was a hilly area with lakes. It was a beautiful place. Our experience was with the White youths; they loved us so much and we liked them so much that when we were coming back, they were all crying like the Bengali people crying in the marriages or for their dead relatives, we were all crying. The White people showed us huge respect and loved us so much. It was a big area and all the people of all ages use to come to our camp early in the morning. Jalal gave the introductory speech and they all were so pleased and they received us warmly. It was a very pleasant experience. We were in contact for many years after we came back. Later the communication broke down slowly, because of the distance. Thus we find the warm hearted White people. Peter East and John. John was not involved as much as Peter East but he was a nice gentleman. I don’t have enough experience about East London, but in 1972, Bengali people used to avoid the Wapping area because of fear. Most people were afraid of Bethnal Green. Today I live in Ingram House, this was an area marked for enmity to Bengalis. People were unable to go to Wapping even for work. Some parts of Ingram House were marked as no go area to the Bengali people. The racists didn’t need provocation; I can remember an incident, Syed Nurul Islam and I went to enjoy the second film of Bruce Lee, ‘Enter the Dragon’; we went to the Warner Cinema in Leicester Square. We were living in the hostel at Tower Bridge, at that time. We went to enjoy the cinema and after the show we were coming back to the hostel. When we were returning to our hostel, we reached the underground rail station of the then Charing Cross station. We saw a few middle aged, rough white people; we felt that they were not good people. We watched them and got in another compartment just to avoid them. When we sat in that compartment, they came to the compartment and start beating us in front of the crowd in that compartment. I was unable to understand what was going on, but Syed Nurul Islam protested. When he stood to defend, they caught him and took him to the door of the compartment and started beating him. Then I stood and protested, I was asking them what the problem was. One white gentleman tried to protest, but his wife stopped him and I was sure if he had protested, he would have been attacked too. They threw Nurul Islam on the floor, and beat him. I asked them, what our fault was. They told us nothing but left us soon. At the next station all the passengers of the train left the train including Nurul Islam. I realised I was totally alone in that compartment when the train came to the next station. I left the train and came back to Nurul Islam. Lot of the people complained to the police but no one contacted us. There were lot of racists amongst the police too. I remember another incident that took place in front of the no 7 TOC H; there was a technical college on the other side of the road. We were playing cricket, accidentally the ball hit one of the window of the college and they called the police. The police came and treated us very badly; they were adamant to arrest us and as they were convinced that it was a criminal act where it was just an accident. But we called Peter East immediately and he came soon and tried to calm the situation. There were many incidents like these, as we were unable to talk to the people and the police; the situation was even worse. Nowadays we can talk for ourselves and we don’t let them go without protest and we try to defend Bengali people. So the number of incidents and the mind-set has changed. But in the past, we had attitude problems also, and we had made up our mind to swallow this sort of misdeed. The elders advised us not to apply for the citizenship and not to buy properties here in Britain. Even I was told not to take a British passport, they also told us that those who takes the British citizenship will be sent to war. The fear stopped us bringing our families to Britain. In the past Bengali people were unwilling to bring their families to Britain. They thought that they came to the UK for the time being, but not here to live. They also believed that learning English would ruin the children. I was a victim of this, and I have not improved my English. But I have taught myself English in the later part of my life. I could have done more for the community if I had better communication skills. Now I am mainly working behind the scene. I was the Vice Chairman of the Sylhet Centre. Also, many of us work for the betterment of ourselves, in the name of community development. In 1975 or 76, the video was first introduced and we had some video player for the people who were not able to go to the cinema halls to watch the films. At that time only few businessman had videos for rental. Peter managed few videos for the Bengali community so that people who were not going to the cinema would enjoy movies at home. This will help the children to build them. I have to mention, I was more interested in music; we had a music teacher and music training school in no 7. I, Alaur Rahman (singer), Ataur Rahman (former councillor) and Mia Uddin (he has changed his name to Razib Ahmed, also councillor) were the students and we use to practice music. We had participated in a huge international amateur singers gathering arranged by Peter and Caroline in Docklands. Now I realise, the better persons should have been given chance to represent the community. To me the progress of our Bengali community is huge. I am very happy that the right people are now representing the community in nearly every sector, including music. Those who have come to this country in 80s had enough education back in Bangladesh. But in 70s the people came with less education and skills. I came to the country, when I was a student of class ten (last year of secondary school); I got auto promotion from nine to ten in the new free Bangladesh. Q: What type of jobs did you do, when you came to Britain? Mr Oboy Khan and his five associates trained me. They were running a factory, and I went there to get training. Soon they decided to leave the factory, when they were leaving the factory, they offered me to take it over. I decided to buy the factory with £800. It was the beginning of 1974. They also handed over their existing work orders. I started the factory as a learner and later I earned a lot of money from the factory. As I was young and my partner Bashir Uddin was 15 years old, we were worried of our future. Many of my hostel mates were working in that factory and I thought that I will employ them but they were unwilling to work with me at first, as I was young and inexperienced. So we had to pay them double, still we earned a lot. We worked hard and earned enough, my partner used to start the factory at 8 am and I was responsible to keep it open till midnight. We had different shifts of work, and we had arrangement for food and music for the working period. Before buying the factory, I was earning only £20-£25 every week. But after starting the factory we were earning £200-£250. We later sold the factory to go to Bangladesh. I have later worked in another factory for 24 years, and now I am retired. Q: Please tell us about Enoch Powell? At the beginning when I came to Britain, Enoch Powell was seen as an evil person. Few people had television in their homes. We saw him speaking on the TV. We Asian and the Bengali people hated him very much. One evil person was Enoch Powell and another was the Skinheads (during the Heath’s government) who attacked us, the Black and the Asian community. We considered the both as evil. At the beginning I was unable to understand his speech, but I was convinced, he was not a good man. He was always in the news headlines on the television. I didn’t know enough English but our elders told us, he was trying to deport the black and the Asian people. Q: Please tell us about Peter East. Peter East was the founder of the Youth Hostel (TOC H at no 7) and he was trying to do something for the betterment of the Bengali community with his utmost exertion. He went to a programme on multi-racial unity with Mr Jabbar where he was also chased by the racists. He received many threats by post and also was threatened in his home. The White people complained about his friendship with the Bengali society. Later he founded the Youth Hostel. At that time he wanted to do something in Bangladesh. On 24th December 1977, 11 Bengalis who lived in the Hostel and Peter East went to Bangladesh. He then decided to do something in Bangladesh for the Bengali community. In the beginning of 78, he wanted us to identify some poor children; he wanted to help them financially, to become educated. Peter East asked me to locate some poor children for the project. At first I was convinced that I could do this job. But when I tried to enlist the children, I faced lots of problems. We selected a school near Sylhet town; it was an area with lots of rickshaw puller and their families. When we went to the school; the school authority didn’t receive us warmly. They were suspicious about our aim; they were acting as if we were doing something very bad. They were also suspicious about our intention and also about Peter East. When we went to the secretary of the school, he could not give us time, as he was very busy. The next time we met him at a meeting, he also did not help us to help the poor children. I have tried to help the Bengali community (in London) in so many ways; I have taken the video player to those who did not have one. During Christmas I took the children to the parties to let them see and learn about the English people. The parents were suspicious and sometimes they wouldn’t even open the doors. Many even accused that, ‘we young boys living in the hostel were abandoning our religious faith and becoming Christians’ and Peter East was accused of motivating us. Times Magazine reported on this issue in 1972. Another prominent figure was Azizur Rahman but he was not in the spot light. Q: What was your experience of Altab Ali murder? Before Altab Ali’s murder, another incident took place in Southall, where an Indian was killed and we had a huge demonstration protesting the killing. That was my first participation. We printed and distributed leaflets in protest of the killing; the protest was organised from the Youth Hostel. When Altab Ali was killed, we from the Youth Hostel were mainly behind the protest and the demonstration. Jamal Hasan and some other people must be credited for the demonstration. We the people in the hostel worked all the night writing the posters and leaflets. That was a huge demonstration. We had Mr Tareq Ali, Mr Faruque Dhondy and Mala Dhondy with us at that time. Another Indian person was involved. The killing of Altab Ali gave the voice to the Bengali people that; we are here to stay and to live. We can no longer tolerate racism and such kind of brutal activity. It was the beginning of the progression of the community. The (Bangladesh) Youth Movement and youth centre was formed and all the members of the community were fully and actively supporting the activities. Many people had a mindset, that we are here to earn and go back to Bangladesh but the mindset was changed after Altab Ali’s killing. We decided to establish ourselves in Britain. Many of the young people went to learn the Kung Fu for self defence, many were not successful, but many were successful to learn the art. After Altab Ali’s murder and the demonstrations, we got huge response from all works of the society. We were soon able to start many organisations like the Nazrul Academy and such institutions and the result is obvious now. Q: Do you think the political consciousness created in 71 had an impact on the movement of the Bengali community after Altab Ali’s killing? I came to Britain in 1972, to my observation we had the mindset that, we the Asian and the Bengali people don’t have the right to be here. We are here only to work, not to demand any rights of our own. We have to hide ourselves from the White racist, we have to be indoor after sunset, and we have to group together to be safe. And that is all, we can do. But after the killing of Altab Ali, the scenario was completely different; we realised our dignity and our right in the society. We knew our blood was not that worthless. We had to fight for our rights and our dignity. To my opinion, Altab Ali’s killing made us realise our value for the first time. Q: Tell us about your experience of the demonstration after the Altab Ali’s murder. We never expected such huge number of people would come out to protest the killing. We had no previous experience of such a big gathering. It was a very successfully arranged demonstration and the people were as if awakened. And I believe we never ever were unconscious of our rights after that. The Bengali community developed after that incident day by day. Q: What was your feeling, at the time of the demonstration? We were very happy that we had realized our own identity and value. I can’t describe the feeling, it was like the people were sleeping, unaware of their rights and dignity, suddenly something woke them all; they begin to realise their power of unity and so on. We realised, we can protest, we can be united and we have nothing to fear from the police or other people. In the past we always feared the police, I can remember one incident of harassment by the police. It happened in Myrdle Street, Syed Nurul Islam was driving and he parked the car on the side of the road. It was not illegal parking. Still the police charged him, I was not on the spot but I saw and I came. The police told me to bring my wallet, and I did not understand him. He pushed me and assaulted me, which is beyond imagination nowadays. He used slang on me I was so hurt. Today we can protest and demand justice, but in those days we couldn’t do anything. Another incident took place in the Youth Hostel; I forgot to bring the key, I went out for something, when I came back there were nobody in the house. We had a window open in the kitchen for these types of emergency. I entered the house through the window; all of a sudden one undercover police officer followed me and came to the house. He rang the bell and I opened the door. He asked me about my identity and I showed him my room and he saw my photograph but he accused me of being illegal. He then ordered me to see him at the police station every month. I denied. He was adamant, but I also protested and afterwards his colleague stopped him from being aggressive. This sort of behaviour is not possible nowadays. He even tried to arrest me. I started to work for the community; it was after the Altab Ali’s killing. It was a revolution among the Bengali people. We decided not to let them go without any protest. Q: What was your response and comment about Enoch Powell? I used to see him in the news on the television. He was demanding deportation of the Asian people including the Bengalis. He was campaigning to send the Bengalis back to their own country; he even proposed to send us back with some money. All the people of that time knew him as an evil man. When he was shown on the TV, all of us had a common comment that he was an evil person. Later he was a bit soft about his demand, the language had changed a little but he didn’t change his ideology. The changed situation had made him mild, but in the early days, nothing were there to prevent the White people to comment badly about us. Even many of the police were in the party who hated the Black and the Asian people. The sufferers were unaware about the social security and social rights. People did not know the rules and regulations. I myself was unaware of these things, after working in a factory for 24 years; I went to the government officials for support. I told them, “I am in big problem”. They answered me that they will help me if I remain unemployed for 6 months. I faced a huge loss, when I opened a new restaurant so I went to them. I was unaware of the help and support I could have from the government. We saw the police reproaching us and we took it as normal and usual. We thought we were different people and they had the right to abuse us. After Altab Ali incident, we never had to look back. The total picture changed. We had a vocal voice, we realised our right and we were united. We had no crime amongst us and we were totally protected amongst us. Q: Do you plan to settle in Britain or are you going to move to Bangladesh? Bangladesh is my birthplace, I dream to settle back in Bangladesh. I want to go to Bangladesh in the later part of my life, when I will totally retire. But in relation to my children, I don’t want to push them to go to Bangladesh. More than 80% people of my peer group are thinking of going back to Bangladesh. Our children have adjusted well in Britain but we still can’t think of Britain as our own country. I can never think of myself as British, this is something totally different. On the other hand I have my mother back in Bangladesh. To my thoughts all my relatives and friends are in Bangladesh except my children. My children will go to Bangladesh if we can provide them a secured and safe environment in Bangladesh. I don’t feel my children will be secured in Bangladesh, as we hear of Bangladesh situation. We have to have a secured environment to enjoy the essence of freedom. That was interesting. What I remember of the murder was the shock with my parents. It woke up the white community. They spoke about it being “the first one” as if things had escalated. The lad who killed him was at Stepney Green school, older than me, and from a family with a reputation. A good article but one which excludes the most significant movement of the Bnagladeshi community during the period talked about, the Bengali Housin Action Group. There was an excellent Secret History of Our Streets programme about the group and of course if people go to the Swadhinate site there are numerous references to that movement. I hope to see some information about BHAG soon. The site of Swadhinata mentions many people who have been ignored by this article, .Look down the left hand side of the home page in the various strands. Excellent piece, thanks Ted. How things have moved on in a mere 40 years, eh? Interesting to read about the culture of work and the culture of avoiding the white-imposed no-go areas, and how things are now diametrically opposite. Seeing mention of Rahman amidst stories of appalling racism maybe helps explain (but not excuse) why he behaves as he does at the moment. I’m deeply grateful that things weren’t as bad as this for me when I arrived. It’s god you enjoyed it Tim. What no go areas do you mean? By the way, Lutfur’s dad was a barrister. Ah, thanks. I was wondering how old Rahman was if he was a Barrister in the 1970’s! My mistake, apologies. I am guessing that is the father of the current Rahman then? These are the ones I can bring to mind, although I suspect 1/2 hour with google would come up with others. I believe it is referring to a Lutfur Rahman Shahjahan, who is no longer with us. Strange that the murders of Kris Donald and Ross Parker by gangs of racist muslims are not remembered, the way that the murders of Altab Ali and Stephen Lawrence are remembered. Lutfur Rahman Shahjahan is indeed no longer with us, he died many years ago. The last time I saw him was in 1985 when I returned from Bangladesh with photos of the funeral of his brother, he was at that time living Covent Garden. You would also do well to mind your mouth oldford1. I never use the P word as you have alleged on this blog. Check my tarck record of fighting racism and fascism before you gob off. It’s true what they say about the bullied becoming the bullies. The shoe is on the other foot, truly in LBTH. Generally speaking Bengali men of a certain age in the borough have stories to tell of skinheads and because of that they are not too bothered about the other (white folk). Bengalis and Pakistanis were not nearly as passive or subdued as this man says. They joined unions and the Labour Party and started businesses. wasn’t the killer of Altab Ali mixed race? Richard Brown, Maybe I’m wrong about the killer, but not about the Bangladeshis being passive. Passing a white person on the street, they would bow their head and shoulders and walk alongside the wall, as if they were trying to disappear. They acted like they expected to be victims. Inevitably they became victims.